Clear plastic bobbin box with lid. 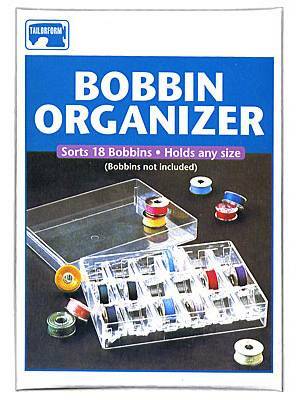 Holds 18 standard-size bobbins (not included). Clear box allows you to see colours. Holds bobbins in place to prevent unwinding.